Guide to freshmen teaching fellows for a successful first year in the college career. Includes strategies for making a successful transition to the academic and personal demands of life as a college student. Second semester includes focus on contemporary school issues and licensure areas preparing students for public school, community, campus and other activities. This discussion-oriented course guides sophomore teaching fellows to the awareness of both societal and educational issues dealing with diversity. Also included is information about teaching in North Carolina public schools: admission to the teacher education program, the PRAXIS test and initial licensure programs for elementary and secondary programs. Senior teaching fellows will build on the junior year experiences of establishing a professional relationship with the assigned classroom teacher mentors. Seminars involve a professional development series in which the student will gain a broader understanding of cultural concepts, tools of inquiry, and structure of the discipline taught through classroom activities and experiences. Using the tools of critical thinking and Nussbaum's capabilities approach (and others), students in this course will analyze professional educators' codes of ethics, their own autobiography of school experience, and current issues in education. Through observations in schools, students will get an introduction to some of the dilemmas of practice and policy in education. This course provides undergraduates an introduction into the nature of the work of educators. A hybrid course, it focuses on the roles and responsibilities of educators in elementary, middle, and high school settings. Students will experience a series of informational and reflective activities related to teaching. A study of public education from a cultural/historical foundations approach including an understanding of American educational goals. Focus is on history of education in the United States as well as current issues in education from multiple perspectives. A small group semester-long project that involves the development of a plan to improve schooling is a major focus for this course. In addition, there are other specific off-campus observations and a tutoring assignment that require a considerable time commitment outside of class both during the day and the evening. Prerequisite: Sophomore standing. This course is designed to involve students in the study of the psychological principles that affect how learning occurs and the classroom application of those principles to teaching. Insight will be gained into the teaching/learning process by participating as observers in local schools for a minimum of 5 hours during the semester, as well as through a minimum of 5 hours working with small groups of children to extend their learning. Through these observations and small group experiences, students will develop a perspective into the teaching-learning process by exploring the role of the teacher, and studying the nature of the learner in the learning environment. Prerequisite: Sophomore standing. Foundations, vocabulary and concepts in dance, music, theatre and visual arts will be introduced to students through demonstration, practice and reflections. The value of the arts as a way of learning will be emphasized, as will oral and written communication skills. Students will participate in experientially based learning laboratories in all four arts disciplines and apply these skills to the elementary school classroom. Co- or Pre-requisite: EDU-234. This course will provide opportunities for freshmen and sophomores to participate in original research in education. Students will be expected to work approximately three hours per week on the research project for each semester hour of credit. Their work will culminate in a formal written report and/or an oral presentation. A "Research Course Information Form" completed by the student and the faculty mentor is required for registration. The "foundational" elementary mathematics methods course, the course focuses on the development--and continuous assessment--of primary grade students' mathematical thinking and understanding of number, operations, measurement, algebraic thinking, and geometry. It includes an introduction to mathematics education in the elementary school (theoretical foundations, critical issues, curriculum, communicating with parents, tools & strategies, and continuing professional development for teachers). Comparisons and connections are made between the development of early literacy and mathematics skills in children. Specific strategies for helping students with diverse learning needs (ELL, learning disabilities, academically gifted) extend their understanding of mathematics are included. Approximately eight hours of daytime focused field experiences (observations, teacher interview, student interviews, & individual tutoring) at a partner school in a K-2 classroom are required. Prerequisite: MAT-160 and admission to the Teacher Education Program. Corequisite: EDU-310. This course if for students completing a K-6 licensure. Students will gain an awareness of current and emerging technologies for the classroom, and develop practical skills in using these technologies in the classroom. Recent developments in educational software, the Internet, and computers will provide students with an array of technologies for educational enrichment. Prerequisite: Admission to the Teacher Education Program. This course will address the research, theory and instructional practices related to teaching literacy. Specific attention will be paid to language acquisition (first and second language) and early literacy development. Candidates will engage in culturally responsive teaching through a comprehensive, balanced literacy program that includes integrating early literacy strategies, a wide variety of multicultural texts, work analysis, vocabulary development, fluency, and comprehension support. Candidates will learn how to conduct informal and formal literacy assessments in order to plan instruction. Approximately eight hours of daytime focused field experiences (observations, teaching, assessments and individual tutoring) at a partner school are required. Prerequisite: ENG-320. Corequisite: EDU-304. This course is an introduction to the field of teaching English as a second language and a comprehensive look at research, policies, and effective practices for students who are from culturally and linguistically diverse backgrounds. The course weaves the theories with the practice of second language education, second language acquisition, cultural diversity, content integration and assessment, literacy development, programs and policies, ESL special education, and home/school connections. Weekly observations in local public schools are required outside of regularly scheduled class time. A study of how middle schools, working with other institutions, can best meet the needs of the young adolescents who are experiencing significant developmental changes. Since the onset of these changes and the rate at which they occur vary considerably, there is tremendous pressure on the individual to cope with her changing person. The purpose of this course is to examine effective strategies that can be used to help the student make this difficult transition from elementary to secondary education. Field experiences in local public schools required. Prospective elementary teachers will become familiar with the curriculum, resources, and pedagogical practices for the teaching of social studies in the elementary school. 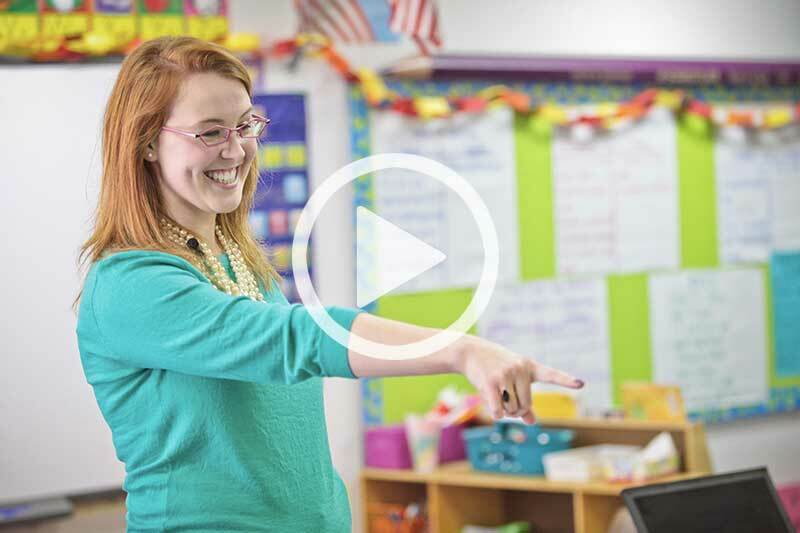 Students will examine national and state social studies standards and integrate technology in preparation for designing learning experiences for students in primary and upper elementary classrooms. Prerequisite or Corequisite: EDU-234. A study of the content, resources, and strategies for the teaching of science in the elementary school. The particular needs of the early childhood and intermediate teacher will be considered. Admission to the Teacher Education program or permission of the instructor is required. The focus in this course is on the instructional planning in mathematics based upon formative and summative assessment for large and small groups of students in the intermediate-upper elementary grade classroom. Based upon constructivist theories, strategies and tools will be used to plan instruction that develops and extends students' understanding of number, operations, measurement, geometry, and data, algebraic thinking through reasoning, problem solving, communication, and connections. Also included are specific instructional strategies for helping students with diverse learning needs develop mathematical literacy. Approximately eight hours of focused, daytime field experiences (observations, student assessment interview, & small group instruction) at a partner school in a grade 3-5 classroom are required. Prerequisites: MAT-160 and MAT-260; EDU-304 and admission to the Teacher Education Program; Corequisite: EDU-410. This course is for students completing a K-6 license. The course will address the research, theory, and instructional practices related to learning, teaching, and assessing literacy in the elementary classroom. Emphasis will be given to assessing students and classes and using assessment to inform instruction, using literacy with content material, and incorporating technology and literacy. Focus is on the teacher as decision-maker in the elementary classroom. Candidates will learn specific strategies for helping students with diverse learning needs (ELL, learning disabilities, academically gifted) extend their understanding of literacy. Candidates will also learn how to collaborate with school specialists and families to meet the literacy learning needs of all students. Approximately eight hours of daytime focused field experiences (observations, student assessments, and lessons) at a partner school are required. Prerequisites: ENG-320, EDU-310. Corequisite: EDU-404. This course is designed as an investigation of adolescence, including a specific focus on adolescents with unique learning needs. Drawing from research, personal experiences, the experiences of others, music, and stories, you will consider the total educative environment of adolescents; the interplay between the inner psychological challenges and outer socio-cultural challenges facing adolescents; as well as the physical, cognitive, and emotional changes that adolescence involves. Particular focus will be given to the inclusion of adolescents with learning differences in the general classroom, including adapting instruction, assignments and assessments, as well as collaboration with other professionals and families to meet the needs of all students. Prerequisites: EDU-234 and PSY-312 and admission to the Teacher Education Program. An examination of literacy strategies in the context of content area instruction and teaching tools to enhance strategic learning in classrooms. Attention will be paid to information and communication technologies (ICT) and new literacies as they impact instruction and learning in classrooms and the selection and evaluation of literacy materials used to teach content. Prerequisite: Admission to the Teacher Education Program. Corequisite: Methods Course. This course is designed for candidates who are student teaching in the fall (rather than the typical student teaching in the spring semester). It provides opportunity for candidates to apply/practice teaching knowledge and skills during a semester without any courses in Education. During the semester following completion of the literacy/mathematics methods sequence (first courses in the spring; second courses in the fall), candidates will take a one credit class which is field based. The practicum will provide candidates with experiences in the classroom in the areas of literacy and mathematics among others. Field experience in local public schools is required. Pre-requisite: Admissions to the Teacher Education Program; EDU 310 and EDU 410. A capstone seminar taken concurrently with student teaching. This course is designed to strengthen the professional skills of reflection as related to instructional practice, assessment and evaluation of student learning, and analysis of personal and effective classroom practices. Emphasis is placed on the five areas of the North Carolina Professional Teaching Standards. Prerequisite: Admission to the Teacher Education Program and student teaching. Co-requisite: EDU-490. Capstone experience for the teacher education program. Provides the student a semester-long field experience at the appropriate grade level(s) in a public school setting. Development of teaching strategies that foster academic achievement for a diverse student population. Focuses on curriculum and instruction, planning, assessment, collaboration, and classroom management. Admission to the Teacher Education Program is a prerequisite. EDU-460 is a co-requisite. Internship fee assessed. Pass/Fail grading only. In conjunction with a faculty mentor, the student will formulate and execute an original research project that will culminate in a paper and presentation. A research proposal form completed by the student and faculty mentor is required for registration. The project must meet honors program thesis requirements as well as expectations of the education faculty. Open to seniors in the Honors and/or Teaching Fellows Programs only. Open to junior and senior students interested in doing research in education. In conjunction with a faculty member, the student will formulate and execute an original research project that will culminate in a formal written report and an oral presentation. The student will be expected to work approximately three hours per week for each semester hour of credit. A "Research Course Information Form" completed by the student and the faculty mentor is required for registration. Prerequisite: EDU-232 or EDU-234 (may be waived at the discretion of the faculty mentor for students not seeking licensure). This course explores major theories and models for understanding how children and adolescents learn; seeks to understand the complex interaction among biological, sociocultural, and psychological factors that influence learning; applies this knowledge about learning to learning and teaching in schools; and investigates the interplay between school culture and students' cultures and the implications for student achievement. The course begins with a sharp focus on the student as an individual learner, then centers on the individual working with a teacher, and finally, centers on the learner in cultural context. Explanations of structural barriers to student achievement are examined including stereotype threat, curriculum-home communication mismatch, the privileging of certain approaches to learning, and solutions for teachers are investigated. The importance of close observation of children/adolescents and careful consideration of actual student achievement data in sociocultural context are stressed. Field experiences required. One challenge that teachers face is how to work with a broad range of cultural, linguistic, and intellectual differences among their students. This course will examine differences and similarities among students and explore sociocultural and structural influences on student achievement. It will address the questions, "Who are the students in the classroom?" and "What must teachers consider when planning and implementing instruction for all of their students?" The course will focus on basic concepts related to addressing student needs through differentiation, inclusion, and teaching English as a Second Language. Field experiences required. This course will critically examine the role of technology in the K-12 classroom and incorporate the basic technology tools of teachers, their applications and the ethics associated with the profession. Field experiences required. A look at language as a system with particular focus on teaching English as Second Language to students in public schools grades K-12. Considers teaching implications of English grammar, phonetics, phonology, morphology, semantics, syntax. Field experiences required.